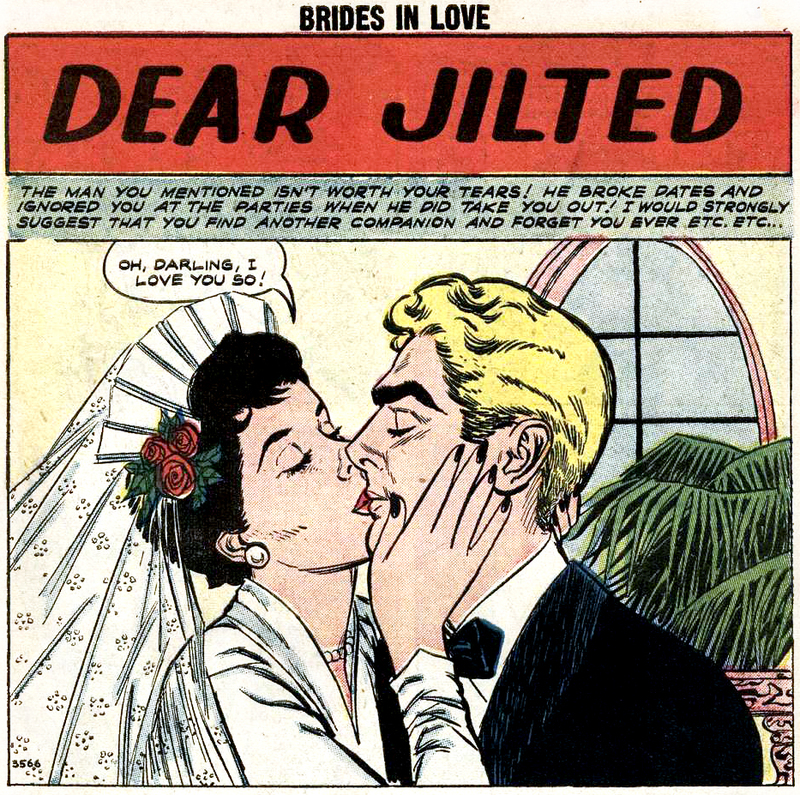 Art by John Tartaglione in “Dear Jilted” from BRIDES IN LOVE #8, 1958. Marrying you was great. Really—lots of fun. And, best of all, I finally scored a date with your bride’s maid. See you later tonight for the honeymoon—if I’m not too busy.